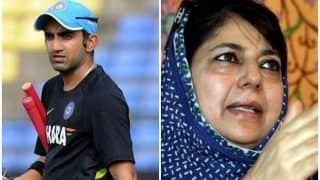 Mehbooba Mufti Sayeed is an Indian politician and the current Chief Minister of Jammu and Kashmir serving since 4th April 2016. 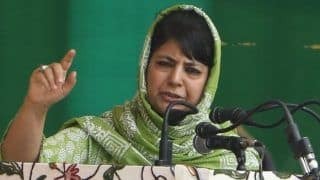 She is the current president of Jammu and Kashmirs Peoples Democratic Party (PDP) and daughter of PDP founder and former Jammu and Kashmir Chief Minister Mufi Mohammad Sayeed. 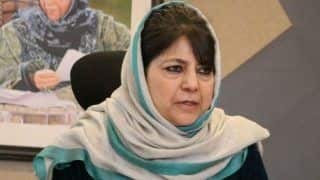 She is the first woman Chief Minister of Jammu and Kashmir and second Muslim woman Chief Minister of India after Syeda Anwara Taimur of Assam. 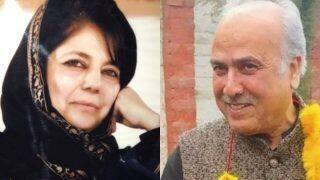 She is currently a member of the 16th Lok Sabha representing Anantnag constituency. 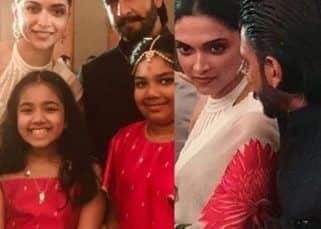 She is one of the few female politicians who is recognized across all India. 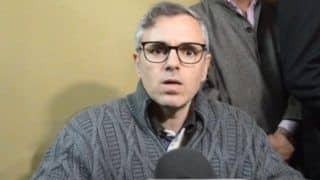 After the split from the Indian National Congress in 1999 and formation of Jammu and Kashmirs People Democratic Party, many expected Mehbooba Mufti to be the party president. 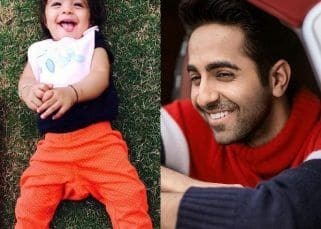 However she deferred to the experience of her father, her father became the party president whereas she became the vice president of the party. 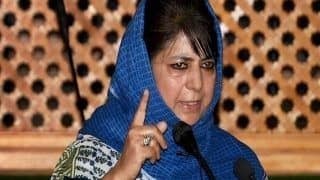 Born on 22nd May 1959 in Bijbehara town of Anantnag district in Jammu and Kashmir, Mehbooba Mufti has earned her law degree from the University of Kashmir. 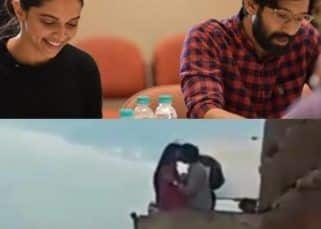 His father was Indias Home Minister in 1989 when Mehboobas sister Rubaiya Sayeed was abducted and later released in exchange for three dreaded terrorists in Kandahar, Afghanistan. 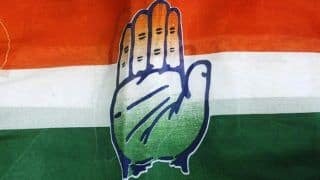 Mehboobas first step in politics was in the year 1996, when she contested the 1996 Assembly elections from the Congress party and won the election from the Bijbehara constituency. 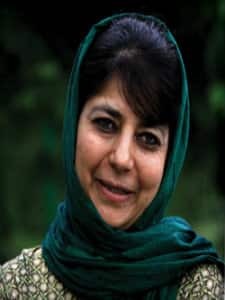 After the split from the Congress party and formation of PDP in 1999, she became the vice president of the party and her father Mufti Mohammad Sayeed became the party president. 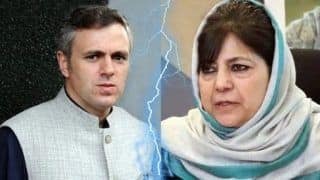 In 1999 parliamentary elections, she lost to Omar Abdullah but gained praises as a fierce leader of the opposition. 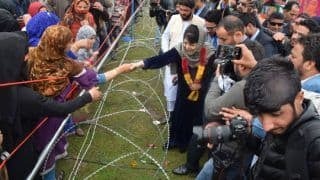 However, she won again in 2002, from the Pahalgam seat in the state assembly from South Kashmir and she defeated Rafi Ahmed Mir. 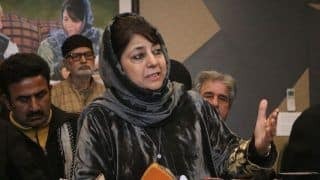 In 2004, she was elected for the Lok Sabha representing the Anantnag seat and won the same seat again in 2014 general elections defeating Mirz Mehbooba Beg by a margin of 44,735 votes. 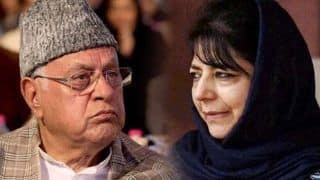 After the 2015 assembly elections of Jammu and Kashmir, the BJP and PDP reached an agreement to form a government in the state and Mufti Mohammad Sayeed took over as the Chief Minister of the state. 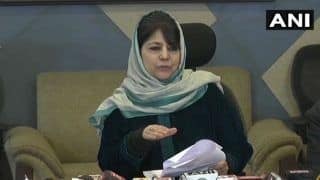 After the demise of Mufti Mohammad Sayeed in January 2016, Mehbooba Mufti became the president of PDP and she also founded the same alliance with the BJP and they formed the government for the second time and she became the first woman Chief Minister of the state on 4th April 2016. 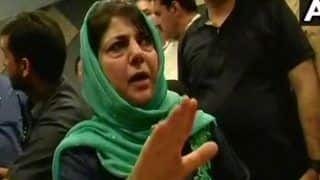 She won an assembly seat in the by-election on 25th June 2016 and she won the Anantnag seat.In the 2015 assembly elections, Mehbooba Mufti raised the issues of Unemployment, favoritism and rampart corruption with regard to Omar Abdullah government and she gained considerable support from the people of Jammu and Kashmir. 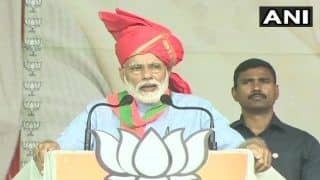 During the flood in the state, she whole heartedly welcomed Prime Minister Modis decision to celebrate the festival of Diwali with flood affected people of the state and also opposed the then ruling Omar Abdullah government for the mismanagement of the situation erupted after floods. 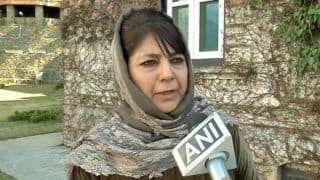 She was one of the first leaders of the state who tried to draw the attention of the Prime Minister with a memorandum towards the alleged mishandling of the post flood situation and demanded Rupees 44,000 crore from the Centre for the relief and rehabilitation measures.